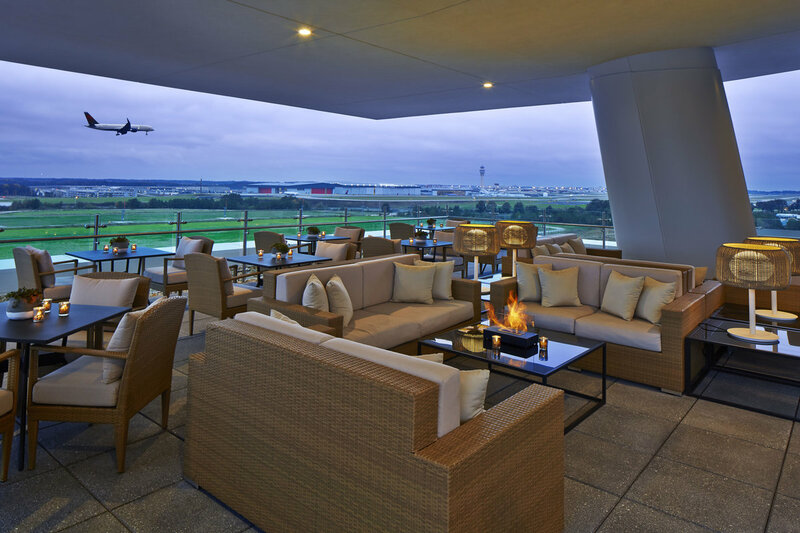 Don’t miss the rooftop lounge with panoramic views of the Porsche Handling Course and airport runways! 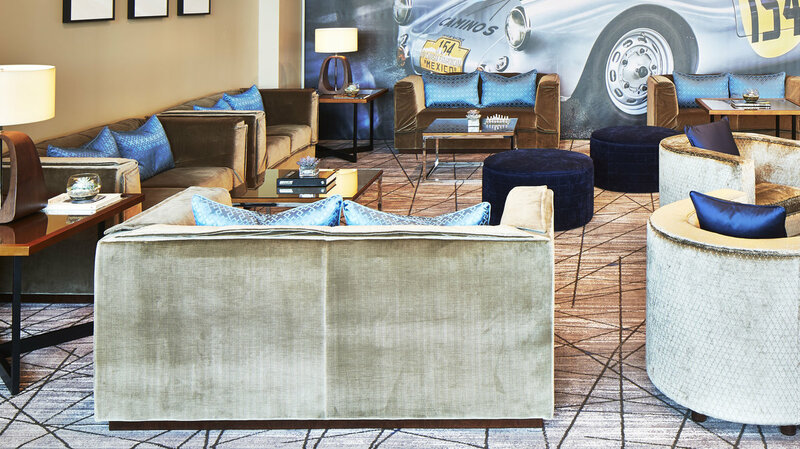 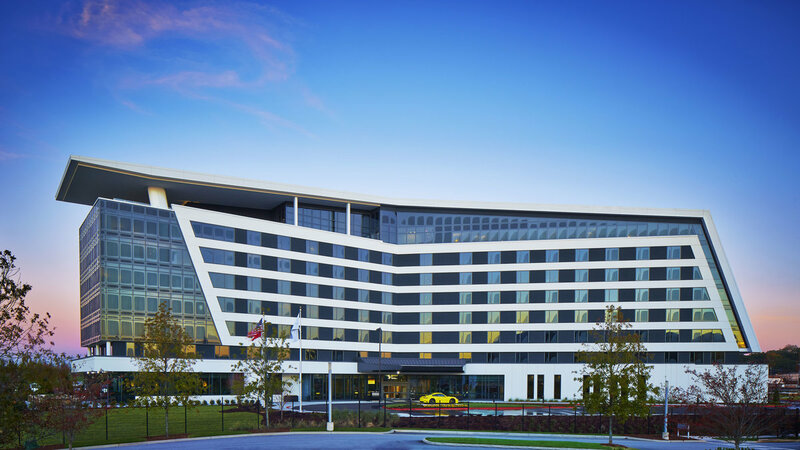 Solís Two Porsche Drive is Atlanta’s newest destination hotel. 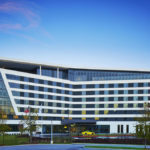 An iteration of Solís Hotels and Resorts brand by Capella Hotel Group, the hotel is managed by WP Hospitality Group chairman and CEO Horst H. Schulze – a proven thought leader in executing world-class service standards while forging a new path for luxury-standard hotels across the world. 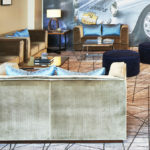 Solís Two Porsche Drive strives to maintain a warm, welcoming atmosphere for visitors to relax, perhaps after spending an exciting day at the nearby Porsche Experience Center or while traveling through Hartsfield-Jackson Atlanta International Airport, and offers a number of unmatched guest experiences to infuse each stay with cosmopolitan comfort. 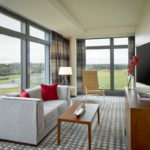 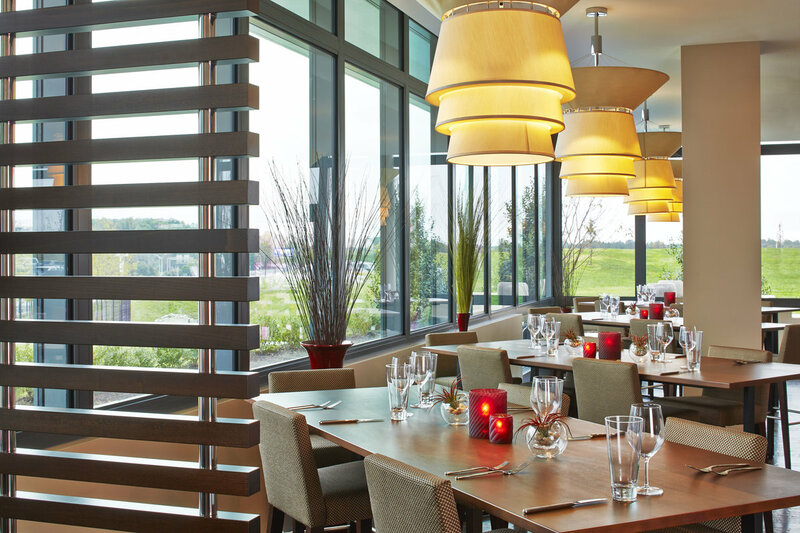 In addition to 24-hour in-room dining service, the hotel’s culinary offerings include Apron, a signature full service restaurant, and Overdrive Lounge, a rooftop haven complete with hand-crafted signature cocktails – perfect for relaxing and recharging after long flight or a day on the neighboring Porsche Experience Center handling course. 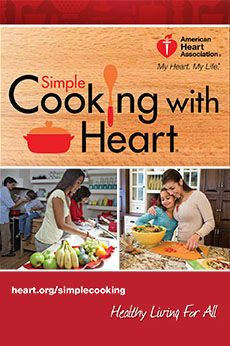 dishes for breakfast, lunch and dinner, presenting an inspired take on Mediterranean cuisine. 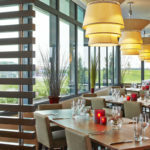 The restaurant also houses a spacious wrap-around bar area, where guests can enjoy hand-crafted signature cocktails and a thoughtful selection of wine and beer. 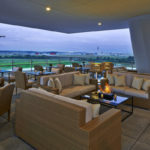 Also a highlight for guests of Solís Two Porsche Drive is the elegant rooftop Overdrive Lounge, which offers a comfortable, yet chic rooftop experience, hand-crafted cocktails, small plates and regular entertainment. 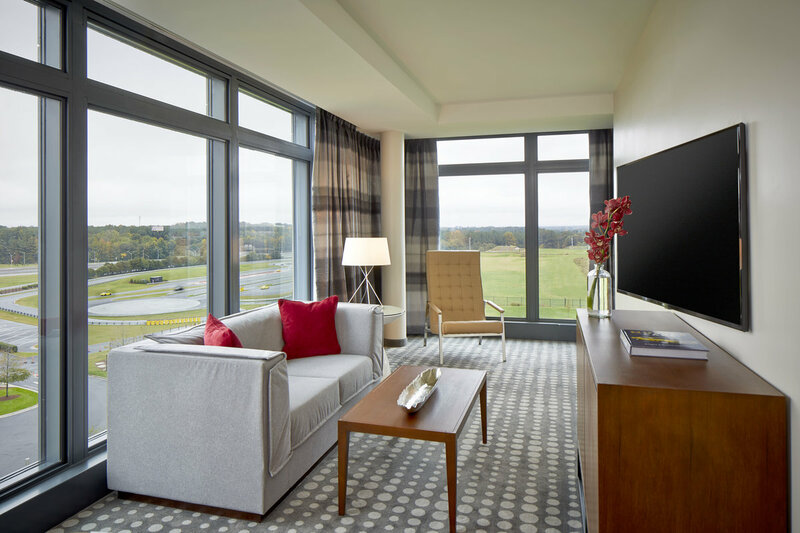 Guests of the open-air, eighth-floor lounge are also be privy to panoramic views of the action taking place at the Porsche Experience Center handling track and the captivating runways of Hartsfield-Jackson Atlanta International Airport.